As autumn approaches and the leaves change color, our thoughts turn to baking, getting cozy, and enjoying homemade pumpkin pie. 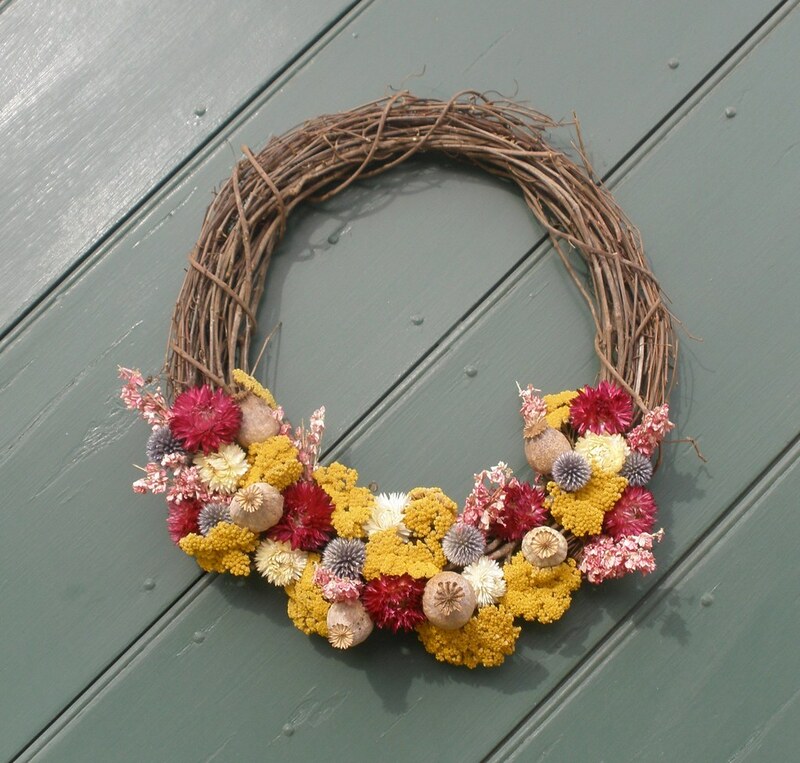 The fall season highlights a number of great home décor items, so embrace the season with a fun DIY fall wreath! With Paper Mart’s extensive inventory of craft supplies, there are many ways that you can create charming wreaths to prepare your home for the autumn season! 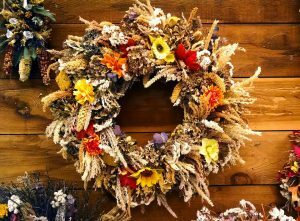 Since the fall season represents a bountiful harvest and plenty of wildflowers, emphasize home decor that brings a bit of nature into your home with a DIY autumn wreath made of branches and twine. Whether you purchase the wood from a store or use twigs from your backyard, use reinforced deco mesh ribbon or natural raffia fiber from Paper Mart to create a simple wreath that will last the whole season. It has the essential woodsy feel that encompasses everything we enjoy about autumn! If you’re looking for something more vibrant and bold, create a DIY wreath for fall utilizing colorful display leaves! By combining leaves of autumnal colors—such as red, orange, and yellow—you can make an eye-catching wreath. Add decorative leaf cords from Paper Mart to really tie everything together and attain a charming homemade look. Modern décor pieces are all about embracing a mixed style. With craft supplies from Paper Mart, you can bring that same sensibility to your DIY autumn wreath. Start by creating a frame from kraft paper and wiring before digging into our inventory for unique embellishments. Choose from laser metallic deco mesh, sequins, faux feathers, and decorative sprays for a distinctive and dazzling DIY wreath for fall. For some, wreaths are all about sophistication and grace. Using diamond rhinestones and pearl ornaments, approach your DIY wreath for fall with a more fashionable route. Combining lace fabric and satin ribbon with simple adornments is great if you are looking for something a bit more subdued and gentle. You can also make a wreath completely out of ribbons, if you’re looking to create an advanced-level craft! Besides the changing weather, one of the most exciting parts of the fall season is Halloween. 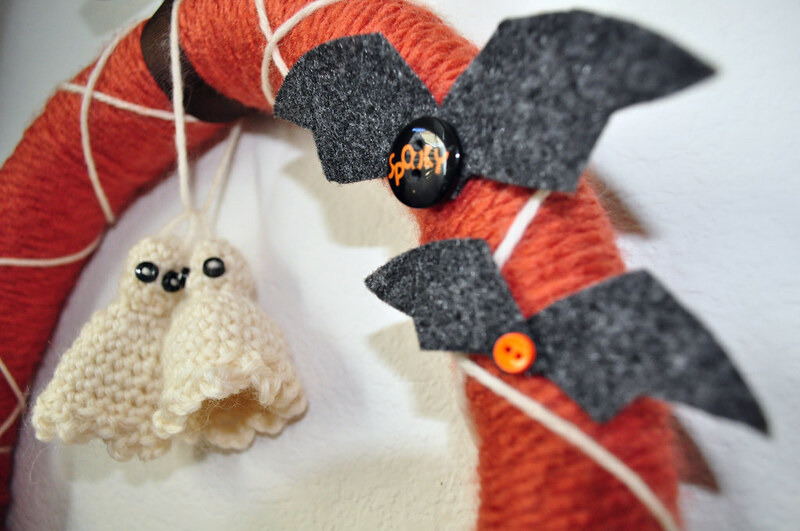 With our Halloween themed ribbon, find an endless number of creative ways to accentuate your DIY wreath for fall with ghouls, ghosts, and goblins! They’re the right amount of spooky, and trick-or-treaters will love to visit your front door! You don’t have to limit your wreaths to the fall season or the holidays—use decorative wreaths year-round! Paper Mart has a wide variety of craft supplies to make sure that whatever the occasion or time of year you want to celebrate, your DIY wreaths will always be top-notch and charmingly decorative. Shop with Paper Mart today to create wreaths that are appropriate for parties, gifts, and favors!